Fresh off the hype from Harmony Korine's Spring Breakers, trap god Gucci Mane has been arrested for assault over an alleged incident involving the rapper hitting a fan over the head with a champagne bottle earlier this month. According to Reuters, Gucci turned himself in to Georgia's Fulton County Jail last night (March 26) and is due to appear in court today. The 33-year-old rapper is being charged with aggravated assault stemming from an incident in an Atlanta nightclub on March 16. A U.S. army soldier reportedly asked if the rapper would pose for a picture with him, at which point Gucci allegedly smashed a champagne bottle over the soldier's head. Mane then fled the scene before police arrived. Gucci's actually been accused of assault twice this month. 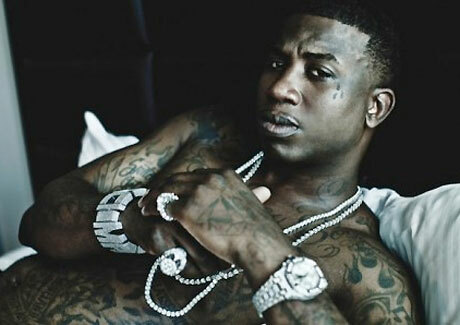 According to MTV, a second man has come forward claiming that Gucci punched him in the face in Philadelphia.